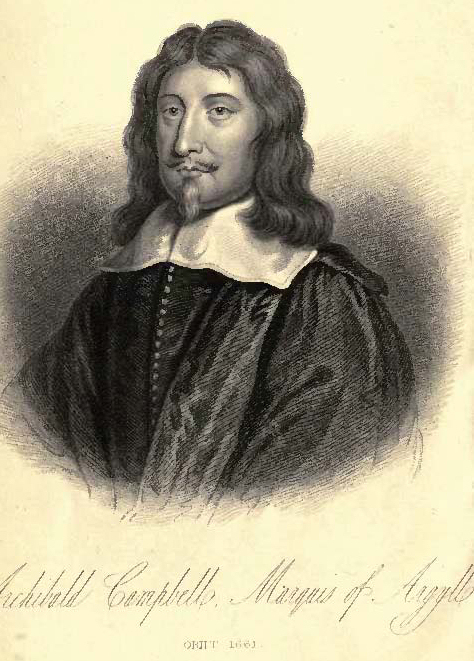 THE present Work consists of a series of Historiettes, or Narratives connected with Scottish History, which, it is hoped, will not be deemed uninteresting to the experienced reader; while to young persons, and those of mature age, who have not access to many books, or leisure to peruse them, it will supply them with much valuable information concerning the several localities with which they are acquainted. These HISTORICAL TALES are constructed on the same principle as Sir Walter Scott's "TALES OF A GRANDFATHER," differing only in this circumstance, that, as every Narrative is complete, no chronological arrangement is followed. This may be alleged as injudicious by some readers, but the plan was adopted to combine variety with agreeable information. 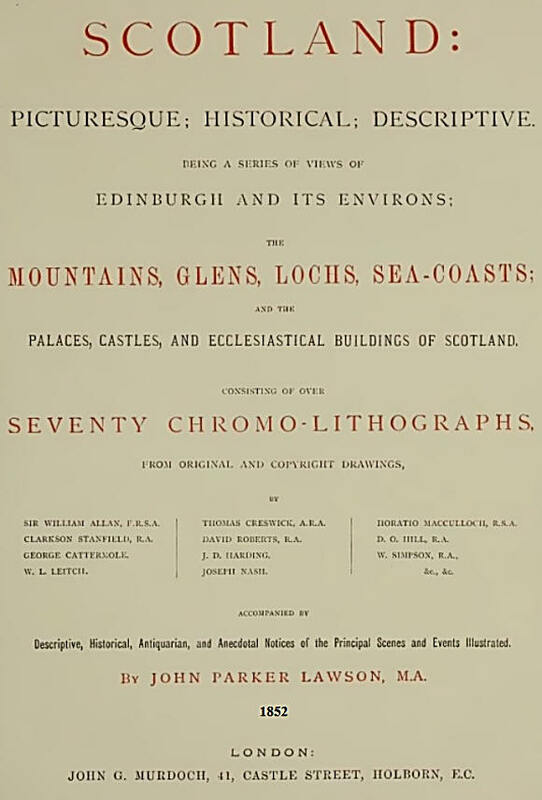 The Work pretends to nothing new, nor does it interfere with any of the existing Histories of Scotland ; and as it is designed for general use, the great object is to condense the substance of many large and valuable volumes in a convenient compass, the whole being carefully selected and compiled from the most authentic Histories, Chronicles, Diaries, and original MSS. preserved in the public Libraries and in private Collections. These Narratives are designated HISTORICAL TALES, for the same reason that Sir Walter Scott calls his History of Scotland, for such it is on a small scale, TALES OF A GRANDFATHER. There is neither fiction nor romance introduced, and the Authorities are laid before the reader at the commencement of each Narrative. Although the leading subject of the Work is Tales of the Scotish Wars, and of those on the Continent under the great Gustavus Adolphus, King of Sweden, and other Sovereigns, in which Scotsmen were engaged, numerous individual anecdotes, private encounters, and biographical sketches, are introduced. 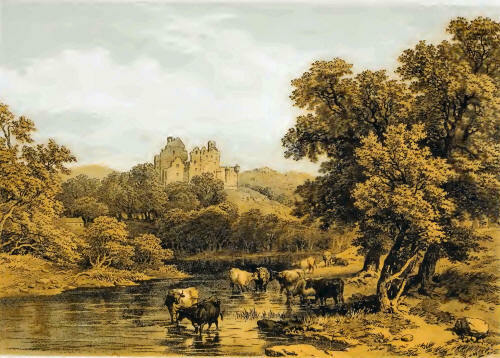 While the wars with the English, the battles of Wallace and of Bruce, and the exploits of the great Montrose, are prominently brought forward, the Border Raids, Forays, and Conflicts, the chivalrous inroads into the Lowlands of the indomitable Highland Clans, and their mutual battles, encounters, and attacks, are not omitted. On the whole, it is humbly hoped that the Work will be received with favour by the Public, as much on account of its cheapness as of any merits it may possess. Earls of Dunbar and March, etc. Siege of Red Hall, etc. 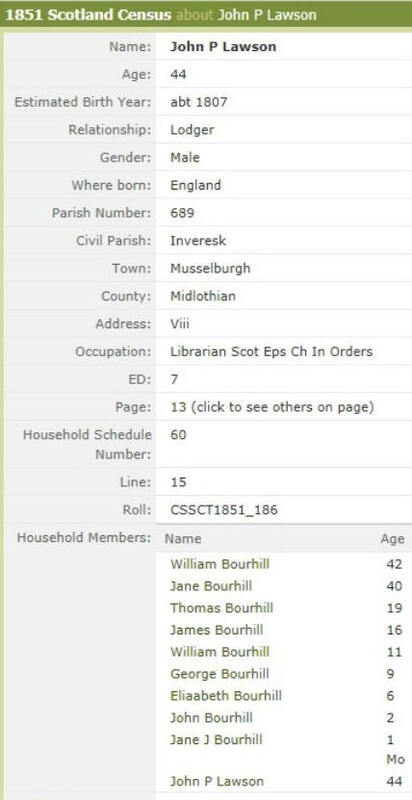 John Parker Lawson who was born in England in 1807, and died in Edinburgh in 1852, was an ordained minister in the Episcopal Church of Scotland and the author of the books listed below. For some time he was also a chaplain in the British Army. Later in his short life, he lived in Edinburgh. The Life of George Wishart of Pitarrow, Edinburgh, 1827. Life and Times of William Laud, … Archbishop of Canterbury, 2 vols., London, 1829. The History of Remarkable Conspiracies connected with English History during the Fifteenth, Sixteenth, and Seventeenth Centuries, 2 vols., Edinburgh, 1829. This was issued in Constable's Miscellany. 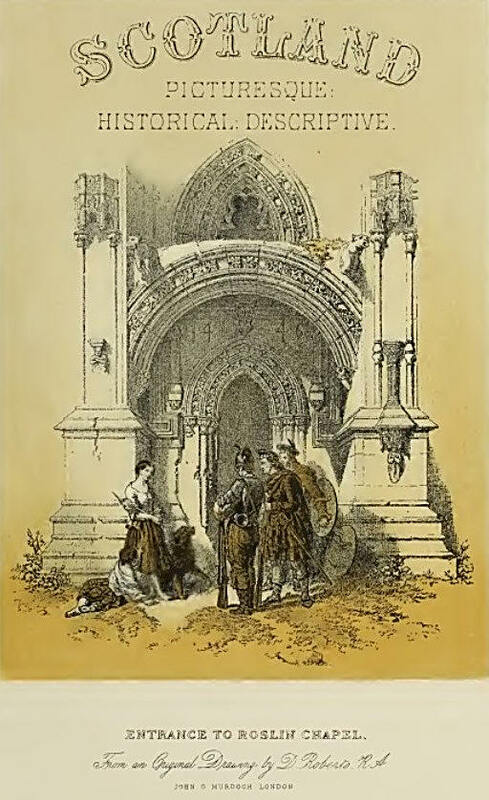 The Roman Catholic Church in Scotland, Edinburgh, 1836. Gazetteer of the Old and New Testaments, with Introductory Essay by William Fleming, 2 vols., Edinburgh, 1838. Historical Tales of the Wars of Scotland, 2 vols., Edinburgh, 1839. 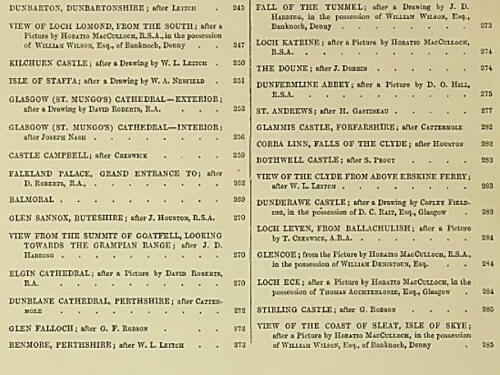 History of the Scottish Episcopal Church from the Revolution to the Present Time, Edinburgh, 1843. The Episcopal Church of Scotland from the Reformation to the Revolution, Edinburgh, 1844. 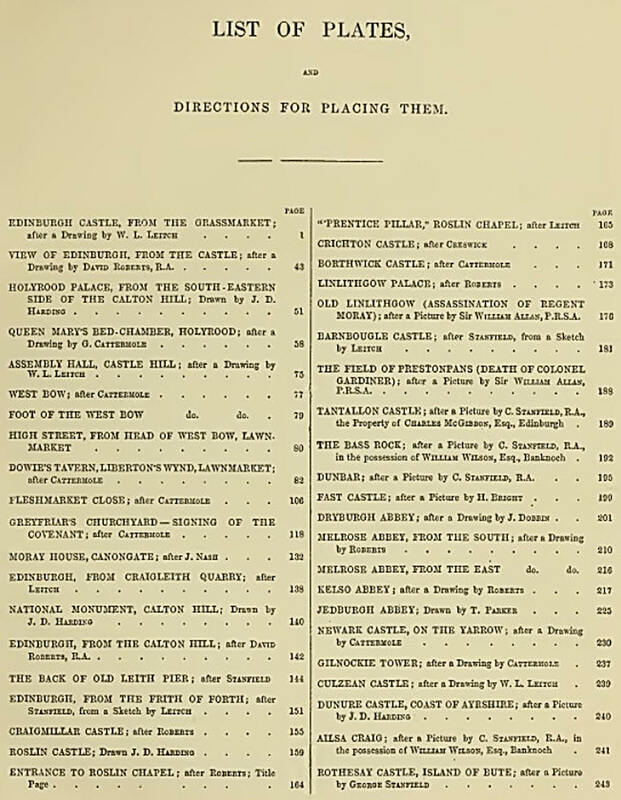 Lawson also edited in 1844 the first two volumes of Robert Keith's History of the Affairs of Church and State in Scotland for the Spottiswoode Society, and wrote the letterpress for Clarkson Stanfield and James Duffield Harding's Scotland Delineated, Edinburgh, 1847–54. There is also a list of his publications at the Internet Archive including this four volume work, that will be serialised here on ES. THERE arc few countries whose historical and other associations present greater interest than Scotland. Only three centuries ago it was, as a nation, almost in the same category as was England in the days of the Saxons. Rival chiefs or clans were constantly promoting civil war, or fighting among themselves. The reign of the unfortunate Queen Mary affords some of the most painful incidents that can be found in the history of any nation. In the course of events, however, at the commencement of the last century, the Union between England and Scotland was effected, and from that date the progress of North Britain in commerce, the arts and sciences, and manufactures has been unparalleled. Scotland, in fact, at the present day, by the enterprise, perseverance, and energy of her inhabitants, stands foremost in civilised life. Perhaps the truth is not exceeded if we remark, that there is not a spot where civilisation has taken root throughout the world, that a Scotchman may not be found exercising his peculiar per-fervidum in promoting general progress. Until very recently the tourist knew little of the beauties of the country, and still less of its historical associations. 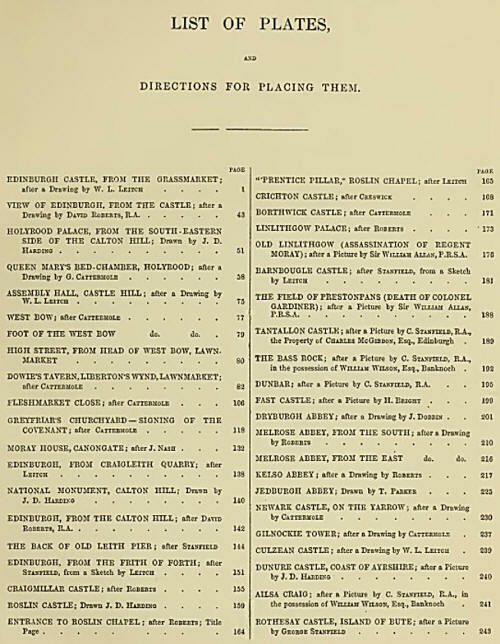 To describe these and other objects of interest is the purpose of the following pages. Fifty years ago, a journey to Edinburgh was, in every respect, as serious an undertaking as one to Egypt is at the present day. Put the extension of the railway system to the Ultima Thule, and the example set by her Majesty, have led tourists of all classes to acquaint themselves with the romantic scenery of Scotland, in place of a resort to Germany and Switzerland, as was formerly the case. Scotland may be practically considered as consisting of three principal regions. In a line south of Edinburgh, drawn to Dumfries, and near Carlisle, the scenery partakes much of the character of the North of England. The Cheviot Hills introduce to the higher system of mountain ranges in the north. In this portion, agriculture, the rearing of sheep and cattle, arc the chief occupation of the inhabitants. Within the central zone the leading historical incidents of Scotland have occurred, the capital, Edinburgh, having been their centre. This also includes Stirling, Glasgow, Falkirk, Sec. ; and here coal, lead, and iron mining, textile and chemical manufactures, have attained the highest position. The Clyde and the Forth, connected by a canal, become the veins or arteries of immense commercial activity. North of this the great mountain ranges commence, with the magnificent lochs of sea and fresh water, that indent the whole of the western portion of Scotland. In the Grampian range is Hen Nevis, having a height of 4,370 feet, and Ben Macdhui, said to be 4,390 feet high. In some of these mountains there arc ravines from 1,000 to 1,500 feet in perpendicular depth. Still further north is a range extending from the Atlantic to the German Ocean, one of the highest hills being Ben Wyvis, 3,720 feet. In the West Highlands, the scenery from the mouth of the Clyde is of the most romantic description, the Isle of Arran affording a kind of microcosm of their topography and geology. The inland lakes or lochs, such as Lomond, Katrine, Awe, Ness, Leven, &c., afford every variety of scenery, while those running in from the sea arc scarcely inferior in beauty; as, for example, Lochs Fyne and Long. In these districts we need scarcely remind our readers that shooting and fishing are carried on, and afford some of the strongest inducements for the visit of the tourist. Deer-stalking is reserved for the more northerly districts, as Sutherlandshirc and neighbouring counties. Scotland is rich in its archaeology. 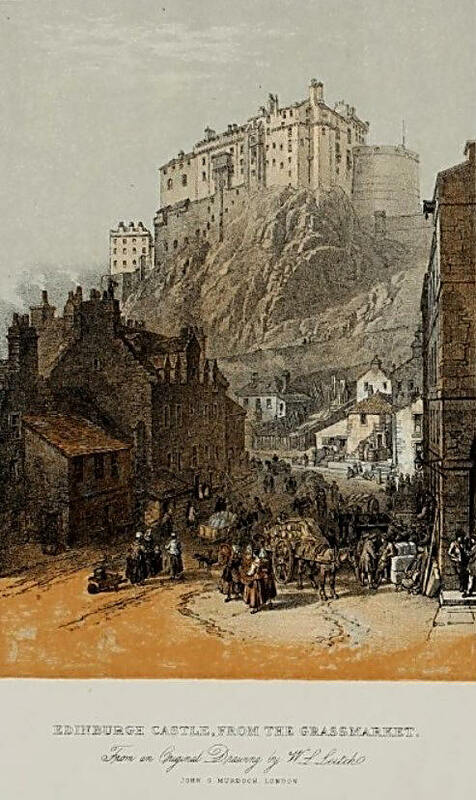 Edinburgh Castle and Holyrood Palace still remain as monuments of history. 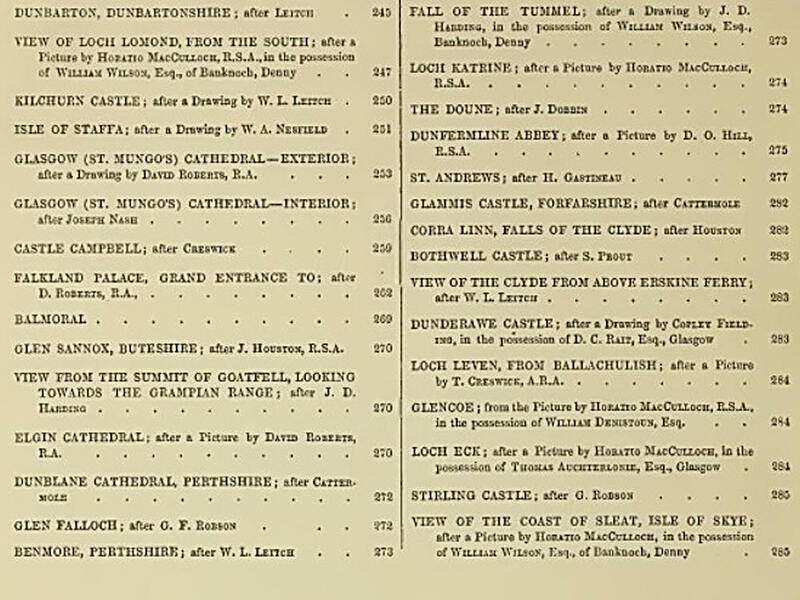 The same may be said of Stirling Castle, and the ruins of Linlithgow and other palaces. As regards cathedrals, those of Glasgow and Elgin are magnificent specimens of ecclesiastical architecture. Among abbeys, those of Melrose, Dryburgh, Kelso, and Roslin Chapel are too well known to require further than the mere mention. The style of these, and their ornamentation, present some curious features of study, in an ethnological point of view, when we contrast them with the character of the Celts, little emerged from a state of barbarism at the period of the erection of such buildings. It is singular, indeed, that the soft, flowing lines of Scott, and the tender, or at times forcible poetry of Bums, should have emanated from a people which even now retain, in some places, traces of the feudal system. Such arc some outlines of various interesting matters described in minute detail in this Work. With respect to the Illustrations, they afford lively pictures of what the intended tourist may expect to realise on visiting Scotland. On the other hand, those who arc familiar with that country will be enabled to reproduce in the mind a constantly-recurring sense of pleasure. Glen Sannox, Elgin, Loch Katrine, etc. Dunfermline Abbey, St. Andrews, etc. As this book is mentioned above we thought we'd make it available for download in pdf format. 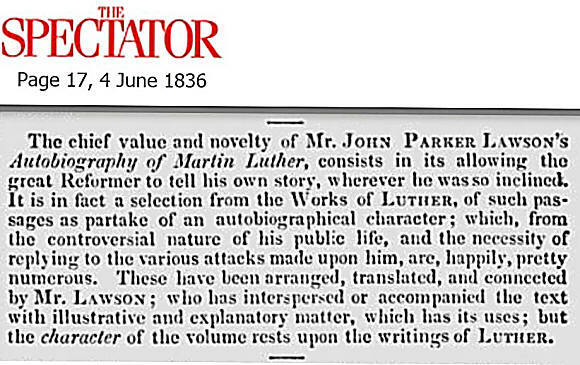 As you'll see from the text below this publication was intended for the younger reader.